Listings Below in Formation; Stay tuned for Updates! Meet some of the great minds powering this year's NIIC -- our track leads. Along with working groups that represent the deepest expertise across various sectors in the immigration space, these are the people whose minds will shape WE THE PEOPLE. Adult Education/Workforce Track Leads: Margie McHugh (MPI), Kathy Tran (NIF), and Vy Nguyen (OneAmerica). Business and Financial Empowerment Track Leads: Dan Wallace (PNAE), Kate Brick (PNAE), and Jeremy Carter (CPLC/NALCAB). Citizenship Track Leads: Nasim Khansari (Advancing Justice-LA), Leya Speasmaker (CLINIC), and Astrid Silva (PLAN). Criminalization, Detention, and Enforcement Track Leads: Salvador Sarmiento (NDLON), Daniel Carrillo (Enlace), and Maria Rodriguez (FLIC). Economic Justice Track Leads: Andrea Williams (Causa) and Jessica Vosburgh (NDLON/Adelante Alabama Workers Center). Education Track Leads: Peggy McLead (NCLR) and Maki Park (MPI). Federal Reforms Policy Track Leads: Eva Millona (NPNA/MIRA), Charles Kamaski (NCLR), and Kate Kahan (FIRM). Health Track Leads: Matthew Lopas (NILC), Max Hadler (NYIC), and Lisa Sherman Nikolaus (TIRRC). Refugee Resettlement and Advocacy Track Leads: Kristen Aster (IRC), Oscar Chacon (Alianza Americas), Amy Shannon (Alianza Americas), Kay Bellor (LIRS), and Stephanie Teatro (TIRRC). State and Local Integration Strategies Track Leads: Tara Raghuveer (NPNA), Eva Millona (MIRA), Steve Choi (NYIC), Angelica Salas (CHIRLA), and Rich Stolz (OneAmerica). Kristen Aster is a Policy and Advocacy Officer for US Programs at the International Rescue Committee, where she leads on engagement with Congress, state-level policy and advocacy, and advocacy support to IRC’s 29 field offices around the country. Immediately prior to IRC she managed a coalition of San Diego organizations advocating on California state hunger and poverty policies. Kristen also previously served as Associate Director of Refugee Council USA, worked in External Relations at UNHCR Washington, has experience at the Office of Refugee Resettlement and the International Labor Organization, and was a Fulbright Scholar researching refugee and migration issues in Morocco. Kristen has a MPP and a Certificate in Refugees and Humanitarian Emergencies from Georgetown University. Jeanne M. Atkinson is the Executive Director of CLINIC, the Catholic Legal Immigration Network (CLINIC). At CLINIC, she partnered in the development of the CARA Family Detention Project to provide volunteer legal representation and advocacy on behalf of mothers and children held in Dilley and Karnes City, Texas. Jeanne founded and co-chairs the Committee for Immigration Reform Implementation and speaks nationally on topics including family detention and implementation of immigration reform. Kay Bellor is the Vice President for Programs at Lutheran Immigration and Refugee Service. Previously, she spent 17 years at the International Rescue Committee in a number of high-level roles including Vice President of US Programs. From 2005-2008, Kay served as Director of IRCs Resettlement Support Center in Thailand. Earlier in her career, she was a Peace Corps volunteer in Sierra Leone and Associate Director for the Church World Service Immigration and Refugee Program. Kay holds a MA in Health Advocacy from Sarah Lawrence College and a BA in Anthropology from the University of Virginia. Kate Brick is Associate Director of State and Local Initiatives at New American Economy, a bipartisan coalition of business and political leaders working to create smart, sensible immigration policies in cities, states, and nationally. Previously, Kate led the Immigration and Integration Initiative at Americas Society/Council of the Americas (AS/COA). Kate has 10 years of experience working on immigration issues in the United States, Mexico/Central America, and Europe through her time at AS/COA, Unbound Philanthropy, the Migration Policy Institute, and the Mexico Institute of the Woodrow Wilson International Center for Scholars. She holds an MA in International Affairs from Columbia University’s School of International and Public Affairs and a BA in Latin American Studies from The George Washington University. Jeremy Carter is the Development Director for Southern Arizona for Chicanos Por La Causa (CPLC), where he cultivates new business opportunities and builds strong relationships with local, state and federal governments, foreign consulates, educational institutions, corporations, nonprofits and other community partners. Most recently, Jeremy was instrumental in partnering with the City of Tucson to join the Cities for Citizenship network and launch a special initiative to increase citizenship rates among eligible Pima County residents. Jeremy previously served as Chief Development Officer for the National Association for Latino Community Asset Builders (NALCAB) where he oversaw resource development, donor relations, communications and member services functions and managed NALCAB’s Clinton Global Initiative – America small business investments Commitment. Jeremy also previously worked as Capacity Building Specialist for Nogales Community Development (NCD) in Nogales, Arizona. Oscar A. Chacón is a Co-Founder and Executive Director of Alianza Americas (formerly known as National Alliance of Latin American & Caribbean Communities NALACC), an umbrella of immigrant-led and immigrant-serving organizations based in the US, that is dedicated to improving the quality of life of Latino immigrant communities in the US, as well as of peoples throughout the Americas. Prior to assuming this current role in 2007, Oscar served in leadership positions at the Chicago-based Heartland Alliance for Human Needs and Human Rights, the Northern California Coalition for Immigrant and Refugee Rights, the Boston-based Centro Presente, and several other community based and international development organizations. Oscar has also served in multiple advisory committees to national and international processes including the Civil Society Consultation process associated to the Global Forum on Migration and Development and the World Social Forum on Migration. Oscar is a frequent national and international spokesperson on transnationalism, economic justice, the link between migration and development, migrant’s integration processes, human mobility, migration policies, racism and xenophobia; and US Latino community issues. Susan Downs-Karkos is Director of Strategic Partnerships at Welcoming America, where she oversees technical assistance for local governments, nonprofits, refugee resettlement organizations, and local collaboratives working to promote welcoming communities for immigrants and receiving communities. She works with other international, national and regional experts who are actively strengthening the immigrant integration field and helps guide technical assistance under the White House’s Building Welcoming Communities Campaign. Prior to this work, Susan served as Director of Integration Strategies at Spring Institute for Intercultural Learning, where she managed programs for foreign trained health professionals and health literacy. She also served for more than a decade at The Colorado Trust, where as a senior program officer, she designed and managed the Supporting Immigrant and Refugee Families Initiative, which engaged immigrants and members of receiving communities in local immigrant integration efforts. She is a former national board co-chair of Grantmakers Concerned with Immigrants and Refugees. Max Hadler is the New York Immigration Coalition's Health Advocacy Specialist. He works on a range of issues and campaigns at the city and state levels to improve health access, coverage, and delivery for immigrant communities. Prior to joining NYIC, he worked in many capacities related to access to care for immigrants, including project director and research associate at the UCLA Center for Health Policy Research, researcher at the UCLA North American Integration and Development Center, and Spanish-English medical interpreter at Yale-New Haven Hospital. Max received an MPH from the UCLA Fielding School of Public Health and an MA in Latin American Studies from the UCLA International Institute. He also holds a BA from Wesleyan University. Kate Kahan is the Legislative Director at the Center for Community Change, a national social justice organization, and has been an activist for women’s rights and economic justice for over 24 years. She has personal and professional experience with poverty and has utilized that in her capacity leading a local economic justice organization based in Montana, and in her role as Professional Staff for the Senate Finance Committee, where she provided leadership and policy expertise to Senate Democrats on welfare, childcare, child welfare, unemployment insurance, and tribal issues. Prior to joining CCC, she directed the Work and Family Program for the National Partnership for Women & Families. Kate also has extensive experience working on voter mobilization, civic participation, and encouraging and supporting women to run for office. Charles Kamasaki is Senior Cabinet Advisor of the National Council of La Raza (NCLR), the nation’s largest Hispanic civil rights and advocacy organization, representing nearly 300 affiliates – community-based organizations that serve millions of Hispanic Americans annually. In addition, his current portfolio includes supervising preparation for and implementation of immigration and citizenship program strategies for NCLR Affiliates and the field, writ large; overseeing the organization’s other immigrant integration initiatives; and supporting development of a pilot program building an online platform for citizenship, immigration, and other small dollar loans. Prior to his current role, Charles served for two decades as NCLR’s Executive Vice President, and prior to that as acting Chief Financial Officer. He has authored, co-authored, and supervised the preparation of dozens of policy and research reports, journal articles, and editorials, testified frequently at Congressional and Administrative hearings, coordinated pro bono litigation and legal analysis, and represented NCLR at research and policy conferences and symposia. Currently he is Treasurer of America’s Voice Education Fund and Co-Chair of the Committee for Immigration Reform Implementation and has previously served as Chair of the National Community Reinvestment Committee, Chair of the National Immigration Law Center, and Chair of the Compliance and Enforcement Committee of the Leadership Conference on Civil Rights, as well as on numerous other nonprofit boards of directors, advisory committees, and task forces.Since May 2012, Kamasaki has been a part-time Resident Fellow at the Migration Policy Institute, working on a book about the Immigration Reform and Control Act of 1986. Nasim Khansari is the Citizenship Project Director and a Board of Immigration Appeals-accredited representative at Asian Americans Advancing Justice-Los Angeles (Advancing Justice-LA). Nasim has been involved in the area of immigration for six years, with a special focus on naturalization law and advocacy. She began teaching ESL/civics courses at the Central American Resource Center in Los Angeles and shortly thereafter joined Advancing Justice-LA. She advocated for and successfully secured funds to launch the organization’s first ESL/civics program in 2013; it serves the Asian American immigrant community of LA. In addition to her advocacy work on immigrant integration, she has spoken extensively on naturalization issues, immigrant integration strategies, and best practices on serving the Asian American and Pacific Islander lawful permanent resident community. In January 2016, she was a panelist at the White House Convening on New Americans. 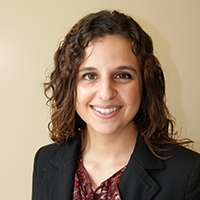 Nasim is currently pursuing her JD at Loyola Law School and is a member of the St. Thomas More Law Honor Society. Matthew Lopas is the Health Campaign State and Local Manager and Health Policy Attorney of the National Immigration Law Center. In this capacity, he engages in policy advocacy and coalition-building to protect and improve immigrants’ access to affordable health care through federal programs, implementation of the Affordable Care Act, and efforts to expand programs to cover the remaining uninsured. His work focuses on outreach and support to groups working at the state and local level. He manages a national coalition of advocates and health care assisters, and he leads NILC’s efforts to support state and local campaigns to advance expansion of health care programs. Prior to joining NILC as a fellow, he interned for Sen. Tom Harkin (D-IA) in the health policy office of the Senate Health, Education, Labor, and Pensions Committee, and he worked as a law clerk for the Maryland Legal Aid Bureau. He holds a bachelor’s degree from the Northwestern University Medill School of Journalism and a JD from the American University Washington College of Law. Margie McHugh is Director of the Migration Policy Institute’s National Center on Immigrant Integration Policy, a national hub for leaders in government, community affairs, business and academia to obtain the insights and knowledge they need to respond to the challenges and opportunities that today’s high rates of immigration pose for communities across the U.S. Margie’s work focuses on education quality and access issues for immigrants and their children from early childhood through K-12, and adult, post-secondary and workforce skills programs. She also leads the Center’s work seeking a more coordinated federal response to immigrant integration needs and impacts, and more workable systems for recognition of the education and work experience immigrants bring with them to the U.S.
Margaret R. (Peggy) McLeod, Ed.D. serves as Deputy Vice President of Education and Workforce Development at the National Council of La Raza (NCLR) in Washington, DC. She previously served as Executive Director of Student Services in the Alexandria (VA) City Public Schools, was Assistant Superintendent for Special Education in the District of Columbia (DC) Office of the State Superintendent of Education, and as State Title III Director, Director of the Office of Bilingual Education, Title VII Coordinator, bilingual program developer, and ESL teacher in DC. Peggy worked at the U.S. Department of Education's Office of Special Education and Rehabilitative Services from 1995–2001. In her native Puerto Rico, she taught in two Montessori schools and owned a center that provided afterschool services to students with disabilities. She was a member of the National Board of Education Sciences from 2010 to 2015, holds a B.A. in Economics from the University of Puerto Rico, an M.A. in Special Education from New York University, and an Ed.D. in Bilingual Special Education Leadership from the George Washington University. Eva A. Millona is Executive Director of the Massachusetts Immigrant and Refugee Advocacy Coalition (MIRA), the state’s largest organization representing the foreign born, and co-chair of the National Partnership for New Americans, the lead national organization focusing on immigrant integration.She joined MIRA in 1999, and before assuming her current post in 2008, served as Director of Policy and Advocacy and as Deputy Director. She is one of New England’s most highly quoted immigration experts. Prior to MIRA, Eva directed the refugee resettlement program in Central Massachusetts. In her native Albania, she practiced civil and criminal law, serving on Tirana’s District Court from 1989–1992; she was the nation’s youngest district judge ever appointed. Eva is also the co-chair of the MA Governor’s Advisory Council on Refugees and Immigrants and serves on the U.S. Commission on Civil Rights. In 2010, she co-chaired NIIC, which MIRA hosted in Boston. She is a frequent speaker on national and international stages on immigration and immigrant integration, and the recipient of over a dozen major awards, including the prestigious 2009 USCIS Outstanding American by Choice Award, the 2010 Wainwright Bank Social Justice Award, and the 2011 and 2012 Powermeter Award, presented to the most influential people for Latinos in Massachusetts. Vy Nguyen, Policy Associate at OneAmerica, is a Seattle area born and raised native with a background in education policy, community development, and passion for social justice and equity issues. Vy’s work has taken her as far as Azerbaijan with the U.S. Peace Corps, the “other” Washington as an intern for U.S. Representative Jim McDermott, and in diverse Seattle-area immigrant and refugee neighborhoods around community and capacity building issues. One of the first in a large family of Vietnamese Catholic refugees born in the U.S., Vy has always been intrigued by power structures, culture, and language in society and how it impacts everyday life and the ability to empathize with one another. Her interest in power relationships is reflected in her education: a BA in Political Science and a MA in Policy Studies from the University of Washington. Maki Park is a Policy Analyst and Program Coordinator at the Migration Policy Institute’s National Center on Immigrant Integration Policy, where her work focuses on early childhood policies that impact children of immigrants and Dual Language Learners in both domestic and international contexts. Previously, she worked as Director of Outreach and Program Manager at WorldTeach, based at Harvard's Center for International Development, where she oversaw recruiting and admissions operations and managed the organization's program in Guyana. She has also worked as an education consultant in Malawi and served as a Peace Corps Volunteer in Turkmenistan. She holds a master's in international education policy from Harvard University's Graduate School of Education, and earned her bachelor's degree with a double major in French and government with a concentration in international relations from Cornell University. Tara Raghuveer is the Deputy Director of the National Partnership for New Americans (NPNA), the NIIC 2016 Co-Host. Tara leads NPNA’s policy and advocacy work, including NPNA’s New American Dreams Platform, a federal immigration agenda for 2016 and beyond. Tara also oversees NPNA’s communications team, internship program, and the National Immigrant Integration Conference. With the support of a broad coalition, she developed the Community Navigator curriculum which has trained over 7,800 immigrant leaders to deliver community-driven legal services. Tara has been cited in publications like the New York Times, Washington Post, TIME, NPR, and Slate. Her research on eviction and poverty in Kansas City is cited in Evicted. She graduated from Harvard College, where she was the student body president. Tara is an Australian-born Indian-American who came to the US with her family in 1996, has since lived in New York, St. Louis, Iowa City, Kansas City, Boston, and is now based in Chicago. Salvador G. Sarmiento is Campaign Coordinator/Legislative Affairs for the 50-member National Day Laborer Organizing Network (NDLON). Prior to that, he served as Advocacy Officer at the Robert F. Kennedy Center for Human Rights (RFK Human Rights), collaborating with activists in Mexico, Haiti, the DR, and the US Gulf Coast. Lisa Sherman-Nikolaus is the Policy Manager at the Tennessee Immigrant and Refugee Rights Coalition (TIRRC). She is responsible for leading TIRRC’s work on public policy issues impacting immigrants and refugees at the local, state, and federal level. Prior, Lisa was the Advocacy Officer at Watchlist on Children and Armed Conflict - a network of human rights and humanitarian organizations. Lisa led advocacy for Watchlist at the UN Security Council in New York, where she advanced the children and armed conflict agenda. Previously, she was researcher on West Africa at Amnesty International, based in Senegal, and was responsible for investigating, advocating and campaigning to end human rights violations in the region. Lisa also worked with Amnesty International, based in London, where she covered health and human rights issues. She holds an MA in Conflict, Security and Development from the Department of War Studies at King’s College London. Leya Speasmaker serves as a Field Support Coordinator and Integration Program Manager for the Catholic Legal Immigration Network (CLINIC). In that role, she helps expand the capacity of the national network of charitable immigration service providers by providing training and consultation to organizations on program management and capacity building. She also coordinates CLINIC’s resources and technical support on integration within the CLINIC network. Leya graduated with a BA in English and a Master of Teaching from the University of Virginia, and an MPA and an MA in Latin American Studies from the University of Texas at Austin. Prior to working at CLINIC, she taught English as a Second language in Virginia, Ecuador, and Texas, and she speaks Spanish. Stephanie Teatro is the Co-Executive Director of the Tennessee Immigrant and Refugee Rights Coalition (TIRRC) and a board member of the National Partnership for New Americans (NPNA); TIRRC and NPNA are the 2016 NIIC Co-Hosts. A Canadian by birth, Stephanie grew up in Portland, OR and earned a Bachelor of Arts and Sciences degree in history from the University of Washington in Seattle. She also lived and worked in Northeast Thailand as a program facilitator with the Council for International Educational Exchange. Prior to moving to Nashville, Stephanie was a union organizer with the American Federation of State, County and Municipal Employees. She has been working with TIRRC since 2012. Prior to becoming the Co-Executive Director, Stephanie was TIRRC’s Director of Advocacy, where she led our programs to build the capacity of grassroots immigrant leaders to speak for themselves, to engage fully in the civic process, and to advocate for policies that make it easier for everyone to fully participate in public life. Stephanie is a steering committee member of Nashville For All Of Us, a member of Nashville Mayor Megan Barry’s New Americans Advisory Council, an executive committee member of the national Fair Immigration Reform Movement, and an is an alumni of Leadership Nashville Class of 2015. She is also the co-author of the national report, Countering the Backlash: Strategies for Responding to Anti-Refugee and Xenophobic Activity from the New South,detailing TIRRC's work to counter anti-refugee policy and Islamophobia in Tennessee. Nadia Tonova serves as the Director of the National Network for Arab American Communities (NNAAC), a project of ACCESS, that brings together 24 independent Arab American nonprofit organizations in 12 states. Most recently within NNAAC, she created and launched the campaign to TAKE ON HATE, an unprecedented national grassroots campaign to challenge prejudice and bias facing Arab and Muslim Americans. Prior, Nadia led the Advocacy & Civic Engagement program at NNAAC, where she led a variety of policy advocacy and grassroots campaigns on immigrant rights, civil liberties and human rights, and civic engagement issues. She continues to offer technical assistance to organizations across the country in these areas. She currently serves on the boards of Michigan United and Mothering Justice, and as an Advisory Board member of Welcoming Michigan. 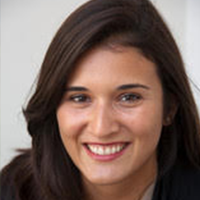 Nadia is a graduate of Leadership Detroit, class XXXIII, and Rockwood Leadership Institute’s Yearlong Fellowship. Before coming to ACCESS, she worked with the Democratic Communications Office for the Michigan House of Representatives. She holds a Bachelor’s degree in Political Theory from Michigan State University and Master’s degree in Near Eastern Studies from Wayne State University. Kathy KL Tran is the Policy and Advocacy Assistant Director for Skills and Workforce Development at the National Immigration Forum (NIF). She brings a wealth of experience in issues pertaining to immigrants in the workforce to her role as policy and advocacy assistant director for skills and workforce development. At NIF, Kathy advocates for policies and programs that prepare workers, including immigrants, to reach their full potential and meet employers’ talent needs. This includes improving immigrants’ English-language acquisition and ensuring they have opportunities to gain skills, credentials, professional licensures and work experience in the U.S. Before joining NIF in 2015, she served in several leadership positions at the U.S. Department of Labor’s Employment and Training Administration. She helped lead the implementation of the Workforce Innovation and Opportunity Act and coordinated a national technical assistance strategy to help state and local workforce leaders prepare for and implement the law. In 2003, she was named a Presidential Management Fellow. Raised in Downey and San Diego, CA, Kathy graduated from Duke University and earned her master’s in Social Work from the University of Michigan. Jessica Vosburgh is the Executive Director of Adelante Alabama Worker Center, a worker-led community organization dedicated to defending and expanding the rights of day laborers, domestic workers, and other low-wage and immigrant workers in the Birmingham area. Jessica is also a Staff Attorney at the National Day Laborer Organizing Network. Her focus areas include lawyering in support of social movements and the intersections of immigration, criminal justice, employment and labor, and civil rights law. Jessica received her JD from Yale Law School. Andrea Williams is the Executive Director of Causa, Oregon's Latino immigrant rights organization. Prior to her current role, she was the Associate Director and has been with Causa since 2009. With Andrea's leadership, Causa has become a leading voice for immigrants on economic justice issues; in 2016, as part of the Raise the Wage Coalition, they passed one of the highest and most inclusive minimum wages in the nation. Andrea also serves as a board member of the Northwest Health Foundation, National Partnership for New Americans, and the Oregon Latino Health Coalition. Andrea grew up in Oregon. Her research at Whitman College on the civic engagement of immigrant communities in eastern Washington was published in the State of the State for Washington Latinos, a community-based research project.